Scope City Inc. is the top rated US Dealer of 1800 Destiny, ADM, Agena AstroProducts, Alaska Guide Creations, Antares, Apogee, Astro-Tech, Astrogizmos, Astrographics, AstroSystems, Astrovid, Astrozap, ATN, Baader Planetarium, Barska, Bob`s Knobs, Brunton, Bushnell, C&A Scientific, Canon, Carson, Celestron, Central Trading Agency, Coronado, Cyanogen, David Chandler Company, Denkmeier, DK Publishing, Doskocil, Explore Scientific, Farpoint, Firefly, FLI, Fujinon, Hansen Planetarium, Hawk Imports, Houghton-Mifflin, Howie Glatter, Hubbard, Imaging Source, Imaginova, iOptron, Jason, JMI, Kalmbach, Ken Press, Kendrick, Konus, Kowa, Kronehof, Leica, Losmandy, Lumicon, Meade, Nikon, Officina Stellare, Optec, Pacific Design, Parallax Instruments, Parks Optical, Particle Wave, Pelican, Pentax, Philips Maps, PixSoft, PlaneWave, Prinz, Pulsar, Rigel, SBIG, Scope City, Simmons, Sirius Observatories, Sky Publishing, Skypieces, Software Bisque, Southern Stars, Starbound, Starlight Instruments, Steiner, Swarovski, Takahashi, Technical Innovations, Telecovers, Telegizmos, Televue, Telrad, TO Optical, Unassigned Brand, Unihedron, Vanguard, Vixen, Wesco, Willmann-Bell, Yukon Advanced Optics, Zeiss, and other famous brand names. 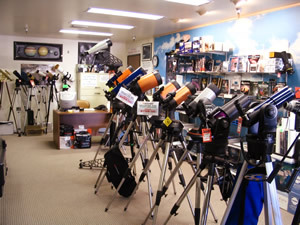 We offer the best deals for professionals and beginners on Telescopes, Binoculars, Microscopes, Spotting Scopes, Night Vision, Range Finders, Riflescopes, CCD Digital Cameras, Books Software, Accessories, and etc. 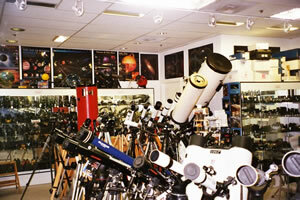 No matter you are looking for a new telescope for your astronomy / optics study, a binocular with a CCD digital camera as a holiday gift, a cheap price microscope on sale, or something like a filter, an eyepiece, a laser rangefinder, a mirror, or a mount, you can always have the best buy on scopecity website – scopecity.com and in our stores in San Francisco, Las Vegas, and other locations. 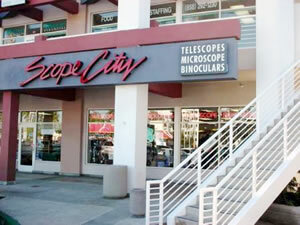 For over a quarter of a century, Scope City has grown to be the largest and most complete optical centers in the world. Our success is the direct result of our philosophy: "Our Customers Come First." We know the complexity of buying quality instruments, we understand the frustration of choosing the right accessories and we share your concern of making the right decision. We provide a full line of equipment suitable for the first time user as well as the experienced professional. Our mission is to meet the high standards that our customers expect from us. We strive to continually provide the professional expertise and guidance in choosing quality products that suit your particular needs - at discount prices. Our non-commissioned staff are experts in the field and are ready to guide you! 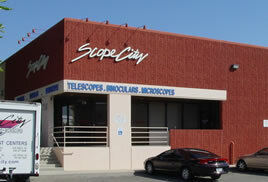 To inquire about the products and services found on ScopeCity.com or in our stores, please contact us by phone, mail or We're happy to assist you! For one on one assistance, please call: 1-800-235-3344 or 1-805-522-6646.